In the rematch of last year’s AFC Championship game, we saw a young, hungry Jacksonville Jaguars team come out and execute against the defending AFC champion New England Patriots. 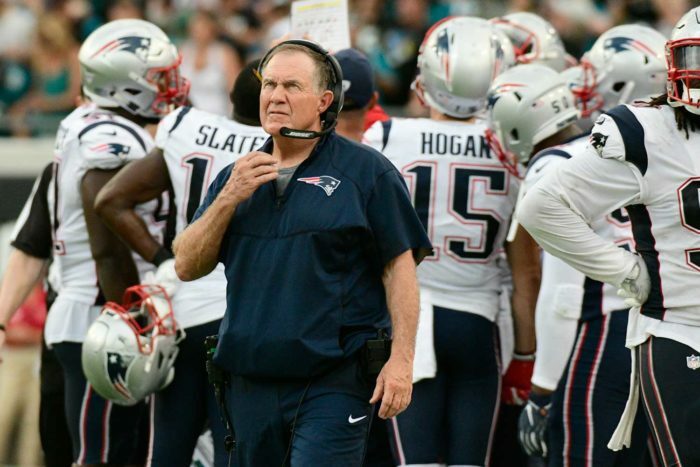 Bill Belichick, Tom Brady and the Patriots have established a reputation for executing at the right time. 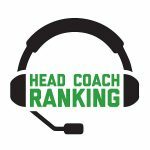 Belichick took home the HCR title last year for his strong numbers in all five HCR factors, and that included making smart fourth-down decisions. For the most part, Belichick knows when to go for it and when to cut his losses, but it wasn’t the case against the Jaguars on Sunday. As the game post notes, the Patriots’ offensive personnel wasn’t a favorable matchup against the Jacksonville defense. That put an emphasis on the Patriots avoiding the need to play catch-up. Yet, that’s what ended up happening. On New England’s first drive, they stalled on a fourth-and-7 at the Jacksonville 36-yard line. At this point, Belichick had a decision to go for it, attempt a 54-yard field goal outdoors, or pooch punt to pin the Jaguars back. Winning the field position battle has been a staple in Belichick’s formula for success, but in this case the points weighed more. The kick missed, Jacksonville started in an advanced position, and scored a touchdown. In this situation, the Patriots probably should have elected to be more conservative since falling behind early wasn’t in their game plan. However, they had another fourth down opportunity to keep the game close in the fourth quarter. With eight minutes left in the game, at their own 18-yard line, the Patriots faced a fourth-and-inches. The score was 24-13 so any score would make it a one-possession game. For most teams, even a fourth-and-inches so close to their own end zone would constitute a punt. But, the Patriots have been successful on fourth-down conversions when they’ve chosen to go for them. Last year, they converted eight of their 13 attempts, and this year they were one-for-one. Despite Jacksonville’s elite defense, they were middle of the pack last year in stopping fourth-down conversions. We feel the Patriots had the personnel and play calling abilities to execute this fourth-and-inches to pursue a one-possession game. Instead, the Patriots punted and the Jaguars sealed victory with a touchdown. The Patriots had two fourth down opportunities this game. One in which they ptobably should have been more conservative and one in which they could have been more aggressive. It’s ironic, since Jaguars head coach Doug Marrone was criticized for being too conservative in last year’s AFC Championship Game. Though going for a fourth down on your own 18-yard line is ill-advised unless there is no time left, at this point the Patriots needed to play to win rather than play to not lose. This does not take away from a Jacksonville team that simply came out and out-performed the Patriots. But lack of execution on the New England side and their decisions in these fourth-down scenarios made them the Situational Call of the Week.